Killer cheesecake, cooked wicked fast and tastes AMAZING! There’s not much better in life! This individual instant pot cheesecake will be your new favorite dessert! 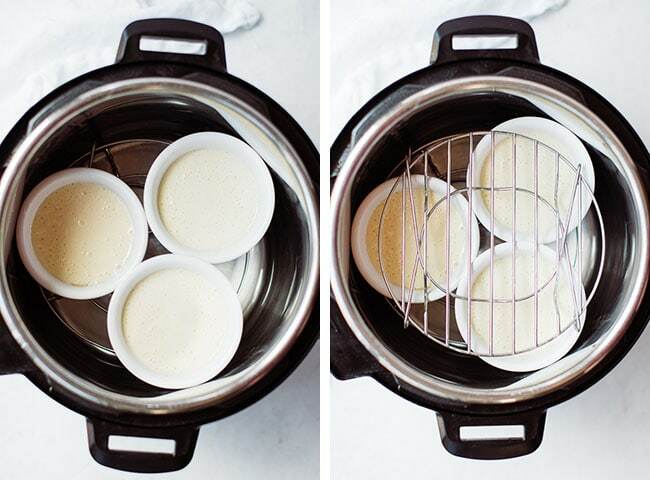 WHY SHOULD I COOK CHEESECAKE IN THE PRESSURE COOKER? Cheesecake needs to stay moist while cooking so it doesn’t dry out. This can be really tricky when you are doing it in the oven, especially in a dry climate. Cooking cheesecake in the instant pot gives the cake the perfect moisture balance (NO CRACKING!!) AND they cook really fast! 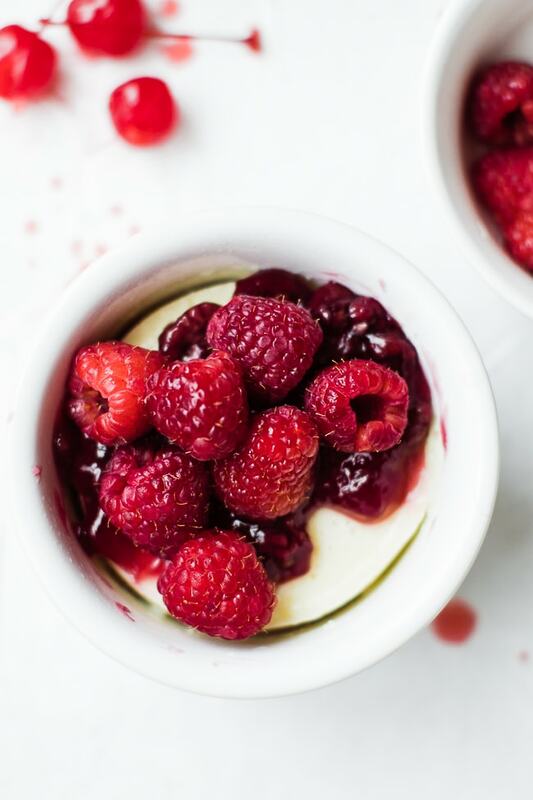 WHAT CAN I COOK MY MINI CHEESECAKES IN IN THE INSTANT POT? LET’S START WITH THE CHEESECAKE CRUST! We will be making a graham cracker crust with this cheesecake. 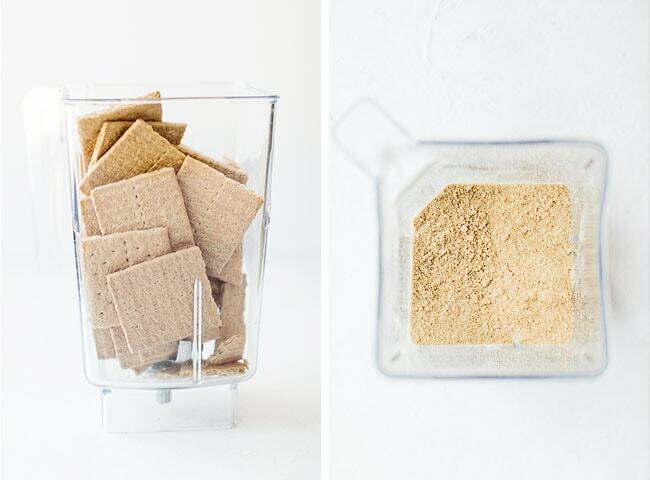 Start by smashing, blend about 2 packs of graham crackers. You what it to equal 1.5 cups of crumbs. 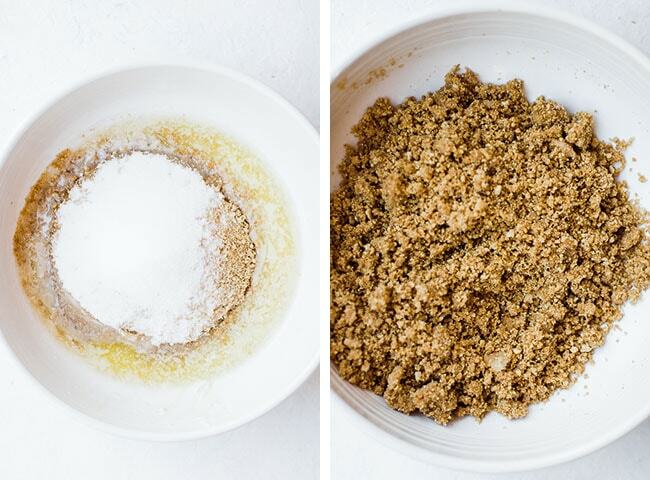 Then in a bowl mix melted butter, sugar, and all the ingredients until the entire batch of crumbs and nice and coated. It will still be really crumbly, but it will smush down perfectly later. Now, Take about 1/4 cup of graham cracker mixture and press it into the bottom of your baking dish. You can use more or less per your preference or the size of your dish. For my 6 ramekins I used a heaping 1/4 cup. I love this part. There are two very important tips you MUST follow for the filling to turn out perfect! Other than that this is SO easy!! 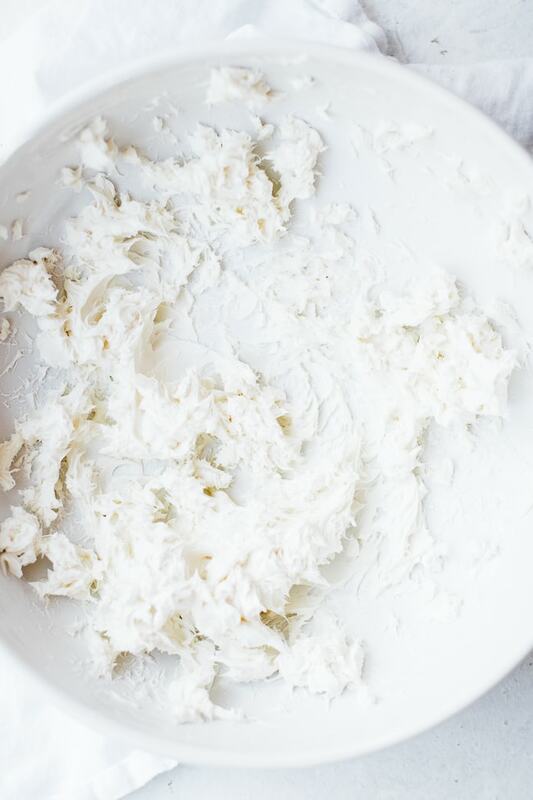 Start by creaming your cream cheese, with a hand mixer, so that it is nice and fluffy. While mixing I like to add my sugar, all remaining ingredients eggs (one by one) VERY LAST. CAN I MAKE THESE THICKER OR THINNER CHEESECAKES? YES! In my ramekins this cheesecake filling equaled about 1-1.2 niche thick of cheesecake when it was all done. If you prefer thicker cheesecake you can pour it higher, or use taller dishes like a mason jar. Cheesecake does not rise as much as cakes and batters so you don’t need to leave a bunch of room for expansion. 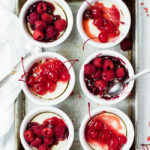 HOW DO I COOK MINI INSTANT POT CHEESECAKES INSIDE THE PRESSURE COOKER? Add 1 cup of water in bottom of instant pot. Place in your rack, and add 2-3 cheesecakes. If you can fit them in, you can add another rack and layer on top. If your jars are two tall or wide to do this, then you will need to do two batches or use two instant pots. 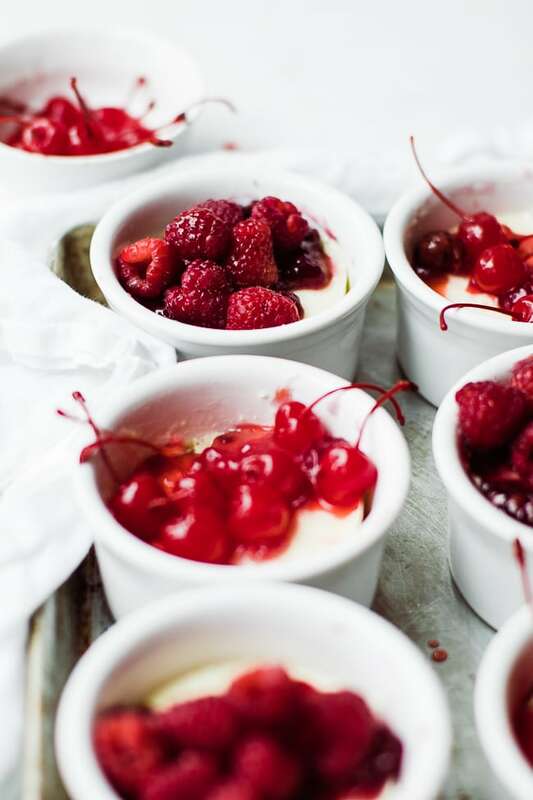 HOW LONG DO I COOK MINI CHEESECAKES? 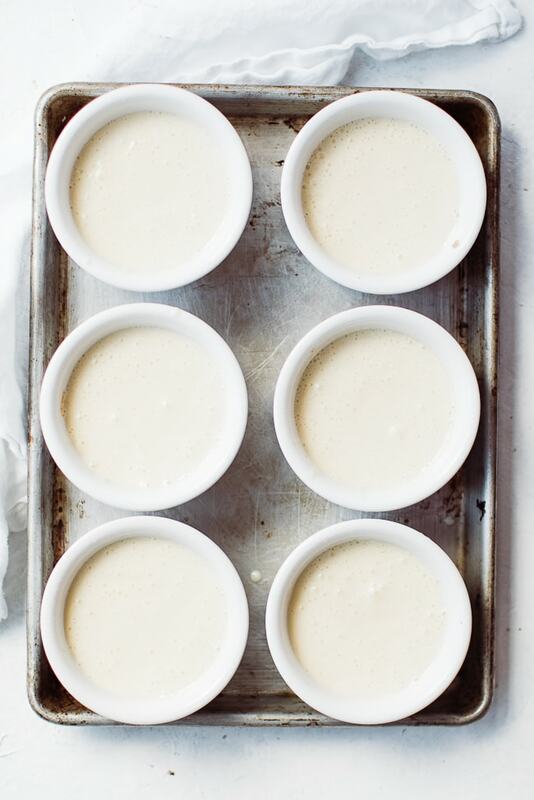 If you are doing smaller cheesecakes as shown they will only need a cook time of 3 minutes!! If your cheesecakes are taller and thicker add up to 7 minutes cook time. When you remove the cheesecakes they will be jiggly! You are dealing with melted cheese here. They will firm up chilled. HOW LONG DOES CHEESECAKE NEED TO CHILL? You want them firm, and chilled through! An entire cheesecake takes overnight, but since these are much smaller they will chill in about 3 hours. Cover them individually so they are air tight, or leave them in the instant pot and cover them with this air tight lid. WHAT CAN I DO FOR TOPPINGS? Oh man, HERE, the sky is the limit!!! Do nothing or do everything!! 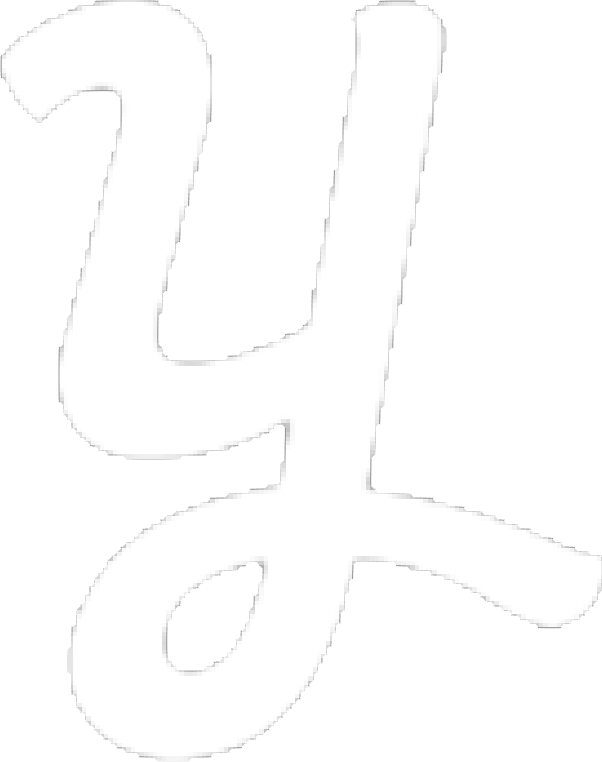 Here are some of our favorites (linked)! The best part is these are INDIVIDUAL cheesecakes. so make a fun cheesecake bar and let everyone pick their own! a combination of any of these!! 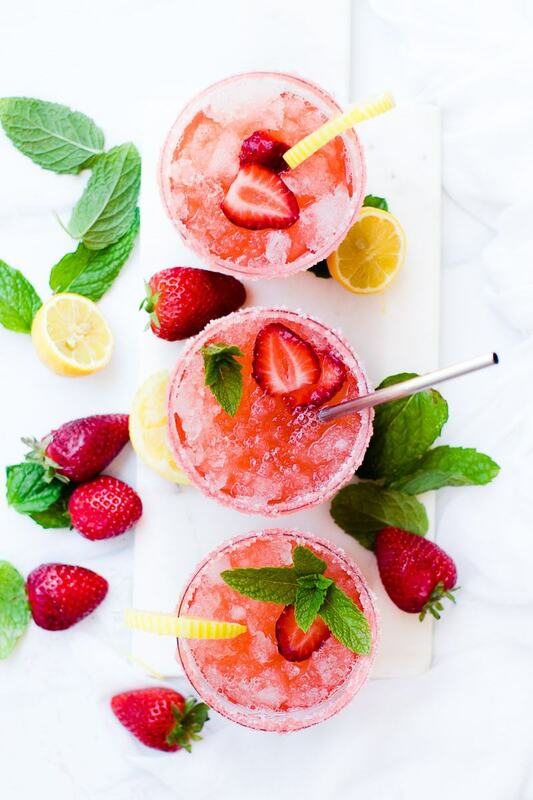 Try this recipe or any other recipe on the blog then don’t forget to rate the recipe and leave us a comment below. You can also follow us on Facebook, Twitter, Instagram and Pinterest to see what else we’re getting up to! And don’t forget to pin this recipe to save for later. For cheesecake, beat cream cheese with electric mixer. Add remaining ingredients, eggs last. Beat just until combined. Place 1 c water in bottom of pressure cooker. 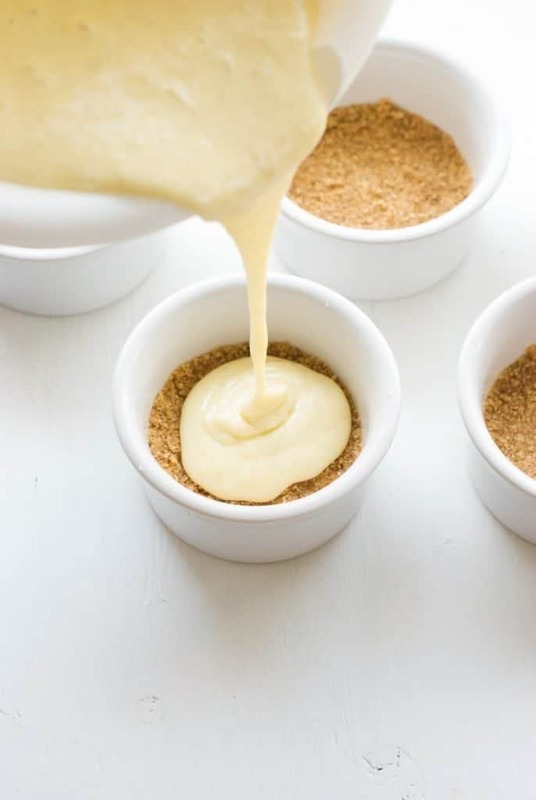 Layer ramekins with tray or trivet. Set high 3 minutes, NATURAL RELEASE. Let cool to room temperature, then chill in fridge for about 3 hours. Top with your favorite toppings!! Make cherry topping by simmering cherry juice with sugar, flour, and salt. 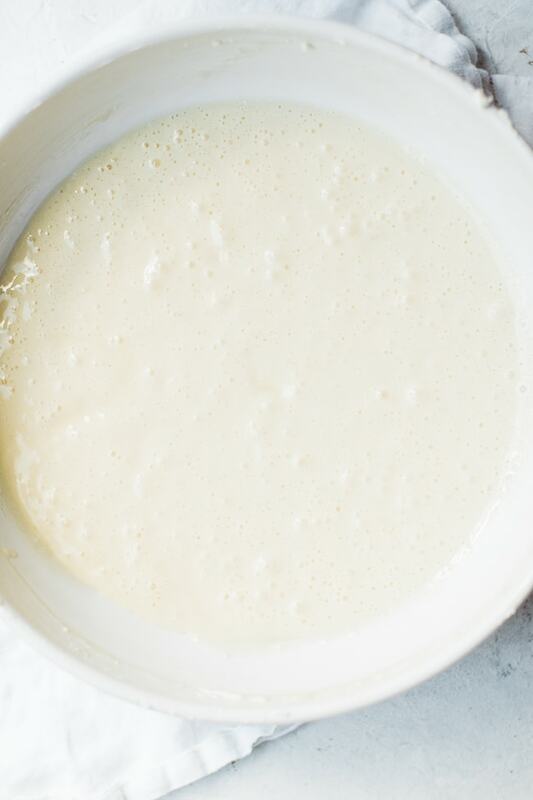 Whisk until flour is completely incorporated, simmer 1-2 minutes until slightly thickened. Remove from heat, add butter, mix until melted. Add cherries to mixture. Refrigerate until cool. When cheesecakes are done, let the cooker naturally release the pressure. When lid is not locked and all the pressure is released, remove lid and carefully remove ramekins from cooker with sturdy tongs. These can be baked in the oven at 350 degrees. Remove from oven after about 15 minutes, or once the edges have puffed up. Add more cooking time if you are using larger baking dishes and have a thicker cheesecake layer. Always natural release the cheesecake. Use any toppings!  see posts for ideas and links! Thank you so much for including your ramekin size and count. I’ve been looking for individual cheesecake cup recipes and no one does that – which affects everything. 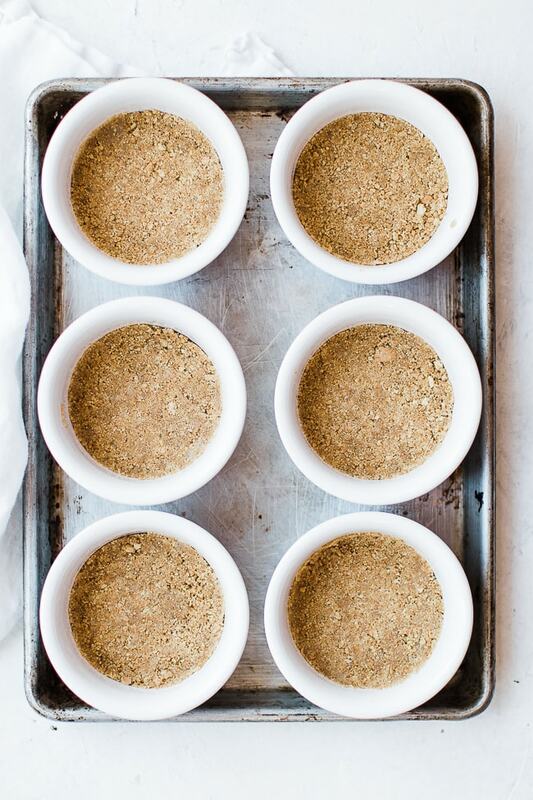 Does the bottom lAyer of ramekins have some kind of rack between them and the pan? Do you use any liquid in the pan? Hi Kim! You can see the steamer rack that my top layer of ramekins are sitting in! Also, the recipe states to place 1 c of water in the bottom of the pan. Hope you give the recipe a try! 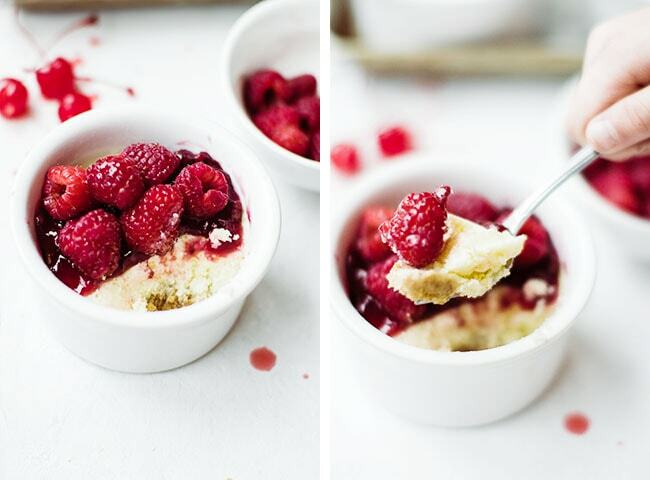 What is the first layer of ramekins sitting on/in? Just the wire rack/Trivet Or are they in another steamer basket? Looks so easy! Thanks for experimenting until YOU got it right, then sharing! They’re sitting on a trivet! I think these are done right. First time making cheesecake, and I’ve just pulled them out to cool to room temp. They had a BUNCH of moisture on/IN them, is that normal until they cool? Today is my son’s 16th birthday and cheesecake was his request. Yes! Just grab a paper towel and gently lay it on top of the cheesecakes to absorb the water. You’ll never know the condensation was there??. Happy Birthday to your son! I am trying to determine how full you filled the ramekins-looks like 1/2 full or maybe 2/?. I don’t want mine to spill over. Also if I want to top with caramel or chocolate would I still use lemon juice? you want to leave a little room at the top, but they won’t rise too much. 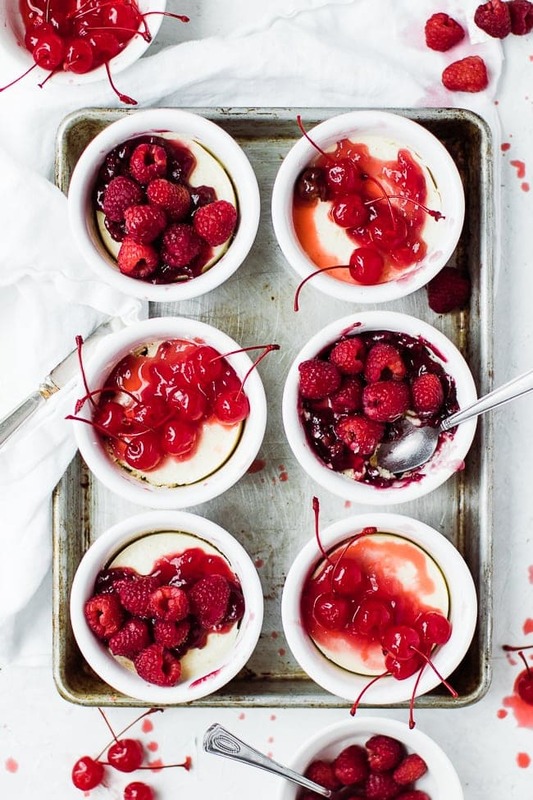 These mini cheesecakes look so easy and delicious, can’t wait to try!